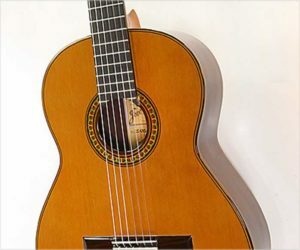 The José Ramírez Auditorio 1a Professional Double-Top Guitar is based on the famous Ramírez 1a Traditional model with one remarkable difference: it is fitted with a Cedar “double-top”. 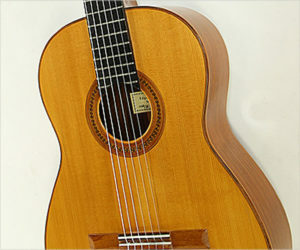 Master-Luthier Amalia Ramírez has been working with double tops for several years. She has been determined to incorporate this 21st century concept into a new model of Ramírez guitar. After a great deal of experimentation she has perfected the design and announced this new model to the public for 2010. 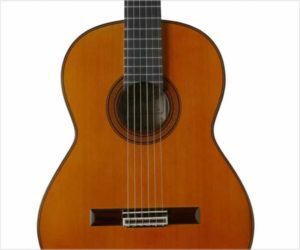 Double-top construction is growing in popularity as luthiers around the world adapt this modern technology to their guitars. This unique construction allows the tops to be much thinner than conventional tops. 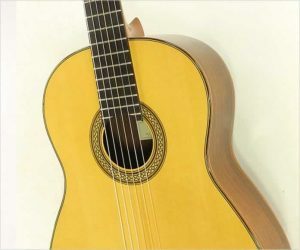 The concert-grade Ramirez Traditional Professional 1a Model is the “benchmark guitar” for tone and quality for Maestros, performers and Master-Luthiers world-wide. 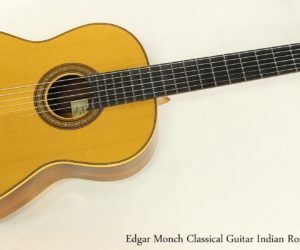 Considered by many to be the Ultimate Concert guitar, the traditional is available in Red Cedar top and by special order in German Spruce top. The Ramirez 1a Professional is built with Indian Rosewood back and sides. We also offer it in artist-grade Madagascar Rosewood back and sides. 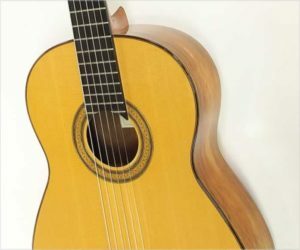 Unique to the Traditional model, the sides are cypress-wood lined in order to make the treble harmonic overtones more warm and lush-sounding. All of our 1a Traditional models are 650 mm scale length.